�As�Is� Bill of Sale transfers title to goods without warranties from a seller to a buyer. Affidavit as to residency of an individual. This Cat Bill of Sale is created for use in Canada. This form is available for immediate download. Form to use when buying or selling a mobile home in Canada. The mobile home can be sold "as is" or with a warranty. Motor Vehicle Bill of Sale transfers title to a vehicle from a seller to a buyer free and clear of all encumbrances. This Motorcycle "As Is" Bill of Sale and Odometer Disclosure Statement is designed for use in Canada. This form is available for immediate download. This Credit Report Dispute Packet will assist you in obtaining a copy of your credit report and repairing or disputing any errors contained in the credit report. It is crucial that you monitor your credit report. This form is for use in Canada. Co-Habitation Agreement (sometimes called a Pre-Nuptial Agreement) designed for use in Ontario - Canada. This Parental Permission and Medical Consent form is designed for use in Canada. This legal form is available for immediate download. This Parental Permission and Medical Consent With Liability Release is designed for use in Canada. This legal form is available for immediate download. This Amendment of Postnuptial Agreement is designed for use in Canada. This legal form is available for immediate download. This Prenuptial Agreement is designed for use in Canada. This legal form is available for immediate download. Condominium lease agreement to be used when renting / leasing a condominium apartment. This form requests information from a prospective tenant and grants the landlord the right to perform credit and other background checks. This Living Will is a legal document that allows an individual to decide on future healthcare decisions in the event they are unable to make them on their own. It sets forth any specific wishes you have regarding basic healthcare and measures to keep you free of pain. Every individual should have a Living Will. Power of Attorney bestowed by an idividual on another individual for a banking purposes. Power of Attorney bestowed by a individual on another individual for the purpose of acting as his representative when dealing with corporate shares. Power of Attorney bestowed by a individual on another individual for the purchase of property. 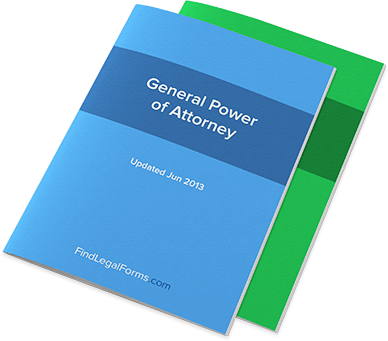 Form used to revoke a previously granted power of attorney. This Revocation of Power of Attorney is designed for use in Canada. This form is available for immediate download. Will designed for persons with children or grandchildren that intend to list them as beneficiaries. Will made by a person living with a common law spouse with children. Will made by a Married Person with Children from a prior Marriage. Friend or Relative Appointed Executor. Specific Bequests. Residue in Parts to Spouse and to Children of prior Marriage, if they survive him or her. Agreement whereby an employee agrees to treat certain of the employer's information as confidential. Forms designed to assist you in the creation and operation of a joint venture. This is a basic template for an agreement between two parties. This Purchase Agreement is designed for Canada and is available for immediate download. This Authorization to Release Confidential Information is designed for use in Canada. This legal form is available for immediate download. This Confidentiality Agreement to Protect Business Plan is designed for use in Canada. This form is available for immediate download. Agreement where an employee agrees to treat employer's secrets as confidential, not to solicit employees or customers and to not compete directly with employer after termination of employment relationship. Agreement between a discloser of proprietary information to the recipient of the information requiring the recipient to maintain the confidentiality of the information. Used by buyers and sellers during the sale and purchase of the business assets and property of a company. An essential and required document when forming your corporation. Canadian company stock option agreements, stock plans and warrants. Sales Representative Agreement for use in all provinces except Quebec. This Royalty Agreement is designed for use in Canada. This form is available for immediate download. This Commercial Lease Application is designed for use in Canada. This form is available for immediate download. This Assignment of Commercial Lease is designed for use in the province of Ontario, Canada. This legal form is available for immediate download. This Commercial Lease Termination Agreement is designed for use in Canada. This legal form is available for immediate download. This Commercial Sublease Agreement is designed for use in Canada. This form is available for immediate download. Official offer from a perspective tenant to the landlord/owner of a commercial property. This Real Estate Sale Contract (Land Only) is for use when selling vacant land and the buyer is paying cash, obtaining a new loan or assuming an existing loan or the seller is financing the land purchase. This contract contains all traditional sale terms along with provisions regarding financing and inspections. Various authorizations and releases including medical information releases and patient consents. Assignment of Internet Domain Name for use in Canada. Domain Name Licence Agreement for use in Canada. Protect your rights with a Domain Name Sales Agreement for use in Canada. This Website Maintenance Agreement is designed for use in Canada. This legal form is available for immediate download. This Website Sales Agreement is for use in Canada. Protect your rights by documenting the sale of a website in writing.